About this Book: Secularism is usually thought to contain the project of self-deification, in which humans attack God’s authority in order to take his place, freed from all constraints. Julie E. Cooper overturns this conception through an incisive analysis of the early modern justifications for secular politics. While she agrees that secularism is a means of empowerment, she argues that we have misunderstood the sources of secular empowerment and the kinds of strength to which it aspires. Contemporary understandings of secularism, Cooper contends, have been shaped by a limited understanding of it as a shift from vulnerability to power. But the works of the foundational thinkers of secularism tell a different story. Analyzing the writings of Hobbes, Spinoza, and Rousseau at the moment of secularity’s inception, she shows that all three understood that acknowledging one’s limitations was a condition of successful self-rule. And while all three invited humans to collectively build and sustain a political world, their invitations did not amount to self-deification. Cooper establishes that secular politics as originally conceived does not require a choice between power and vulnerability. Rather, it challenges us—today as then—to reconcile them both as essential components of our humanity. Abstract: This article sheds light on intellectual politics under Nazism by looking at a crucial shift in the field of Hobbes studies that was marked in a congress celebrating the three hundred and fiftieth anniversary of Thomas Hobbes’s birth, organised in Kiel, 1938. Before the congress, the decisive voice in Hobbes studies had for almost fifty years been that of Kiel University professor Ferdinand Tönnies. Tönnies was purged from the university upon the Nazi seizure of power in 1933 and died three years later. At the opening of the Hobbes congress in Kiel, its convener, Cay von Brockdorff, declared that the phase of Hobbes studies shaped by Tönnies was ending and that a new phase, represented by Paul Ritterbusch and Carl Schmitt, had emerged. Against the background of a long tradition of Hobbes studies in Kiel, this article summarises Tönnies’s contribution to Hobbes studies; analyses organisation and proceeedings of the congress, paying special attention to politico-theoretical disagreements between Ritterbusch and Schmitt and to von Brockdorff’s exploitation of their rivalry; and contextualises Schmitt’s interpretation of Hobbes published in the aftermath of the congress. Abstract: Between the publication of Montaigne’s Essais (1588–1595) and Hobbes’s Leviathan (1651) rhetors became increasingly anxious about arguing in utramque partem. Paradiastolic discourse, fundamental to Montaigne’s early essays, is anxiously though expertly deployed in Leviathan. Paradiastole fuses the ability to see and speak about an issue from antithetical perspectives with the ambivalence such power arouses in. Beyond their skepticism, Montaigne and Hobbes share a concern for how phenomena can be interpreted and represented through language. Despite Hobbes’s desire for a method that would ensure constant and determinate linguistic acts that would render rhetoric supererogatory, Leviathan demonstrates his unremarkable affinities with mainline Renaissance humanists alongside his uneasy affinities with the Sophists. Both the humanist and the Sophist used the trope to probe and to persuade, though both were anxious about the reversibility of such rhetorical redescriptions. Paradiastolic discourses, we argue, integrate the cognitive procedures of philosophy with the judicative procedures of rhetoric. The trope operates through exploiting the reciprocity between similar qualities, as exemplified by the influential paradiastolic pairing of ferox and fortis. Robert A. Greene: ‘Thomas Hobbes and the Term ‘Right Reason’: Participation to Calculation’, History of European Ideas, 2015. Abstract: Three times between 1640 and 1651, once at considerable length, Hobbes used and accepted, and then mocked, repudiated and discarded, the ancient/medieval term recta ratio/right reason. These repeated fluctuations in his thinking and rhetorical strategy occurred during the writing of his three major treatises on moral and political theory, one additional note on the term in De Cive, and an unpublished commentary on Thomas White’s De Mundo. They are made obvious by his substitution of recta ratio for reason or natural reason when recycling passages from Elements of the Law for use in De Cive, and by his subsequent reversal of that substitution when revising other passages in De Cive for use in Leviathan. Despite incorporating recta ratio as a structural element in De Cive, he finally reverted in Leviathan to regarding the term as a deceptive verbal construct, non-existent in rerum natura, and ridiculing its users and proponents. Right reason carried connotations linked to it in antiquity and in the Middle Ages, and Hobbes’s reversals in his view and use of it, and his final dismissal of it, provide further evidence and justification for the now familiar modern claim that he was a herald of modernity. Abstract: Recent scholarship interprets Leviathan as subtly revealing Thomas Hobbes’s allegiance to Cromwell, the Rump Parliament and (or) the Commonwealth. I, however, argue that Hobbes’s Leviathan intends to smash the religious principles underwriting Cromwell, the Rump and the new regime. I begin by situating Leviathan alongside the popular religious rhetoric favoring Cromwell, the Rump and their allies. I then proceed to reveal how Hobbes’s Leviathan subverts the popular religious opinions justifying their claims to authority. Hobbes’s politically subversive arguments are important because de facto power ultimately rests on the legitimizing public opinions that lead men to consent to obey and to support a particular man or an assembly of men. That is, right makes might, according to Hobbes. 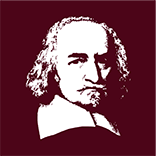 By subverting the powerful religious opinions legitimizing Cromwell’s and the Rump’s rise, Hobbes intends Leviathan to disempower Cromwell and the Rump Parliament.